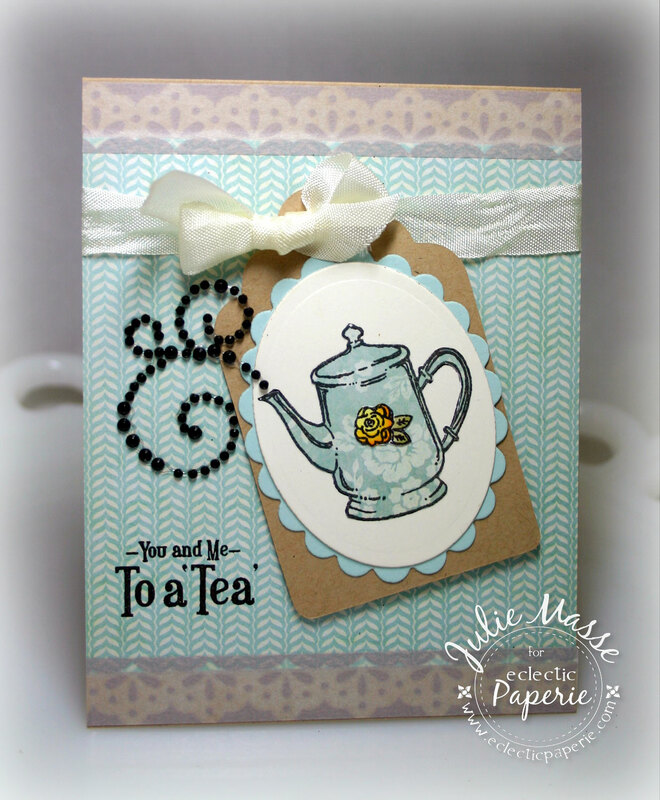 Eclectic Paperie: To a Tea! Good Morning eP fans!! It's my turn (Julie) to post a little crafty inspiration for you today. I had a bit of fun with some stamps from Sweet Stamp Shop. This sweet set is called Afternoon Delight. Now that the weather is getting chillier I've been enjoying my favorite Earl Grey tea several times a day, yum! This teapot just screamed at me to be paper pieced. I used some beautiful My Mind's Eye paper from the Blue Bell 6x6 pad. What was also fun is the fact that MME's had coordinating washi tape for this paper called Smile. See the top and bottom scalloped accents? Washi tape!! So fun and easy to use, have you tried it yet? The finishing touch on my card today was adding the pretty Black Rhinestone Swirls from Prima - so delicate and just what my card needed! I hope you've enjoyed today's card! Check back tomorrow for this week's Product Focus. Have a great day! 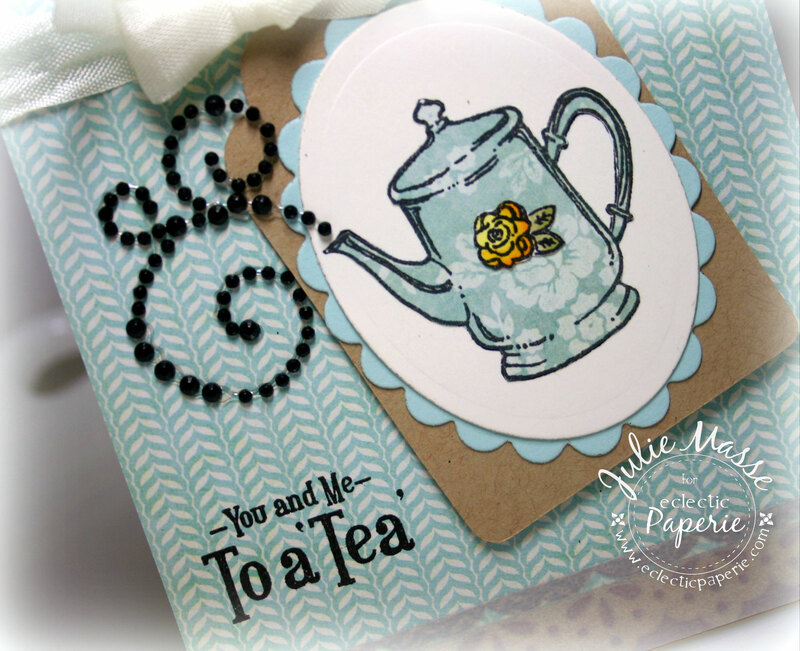 Ohhh...loving the washi tape accent, so pretty!